Robotech was a 1985 cartoon sci-fi series with lots of mecha . It played an important role in exposing US audiences to Japanese-style animation and cartoons, not unlike U.F.O. Robot Grendizer in other parts of the world. 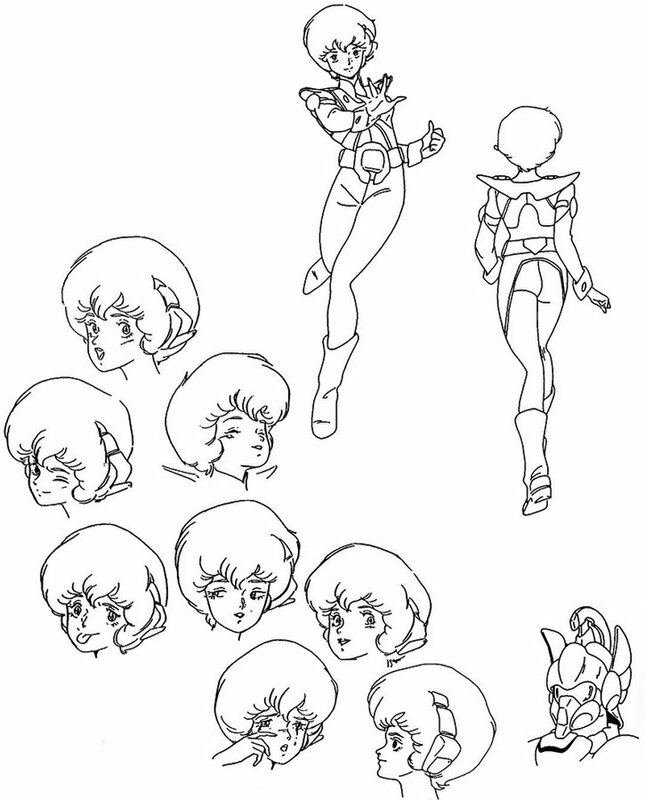 The series was actually a mishmash of several early 1980s animé series, to reach syndication length. Known Relatives: Maximillian Sterling (father), Mariya Parino-Sterling (mother). Group Affiliation: Armies of the Southern Cross 15th A.T.A.C. squadron. Base Of Operations: Monument City. Height: 5’7″ Weight: 114 lbs. Dana is a Southern Cross military officer. She is trained and experience d with small unit tactics for the ATAC. She is a deadly personal combatant wit the weapons of her era as well. The Robotech masters have come to earth after the heroes of the First Robotech war (Macross) have left looking for them. The two forces miss each other in their travels through hyperspace. The Masters have come in pursuit of the Last proto-culture matrix. They must take control of the Matrix before it destabilizes and reverts to its natural form, germinating seeds of the flowers of life. The Matrix is the last source of the energy that powers their society and their military gear. It has been hidden on Earth in the wreckage of macros city unbeknownst to the humans who guard the Earth. 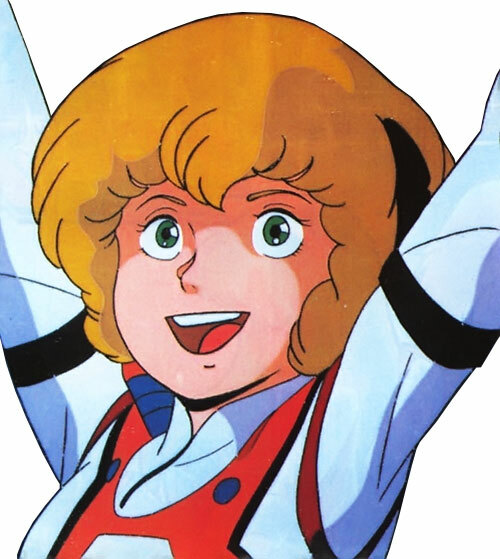 Dana is the daughter of Max and Miriya Sterling, the renowned flying aces of the Macross war. She is not only the first child born from a union between the two races (her mother is a Zentradi), but she is also the first child born from the womb of a clone. 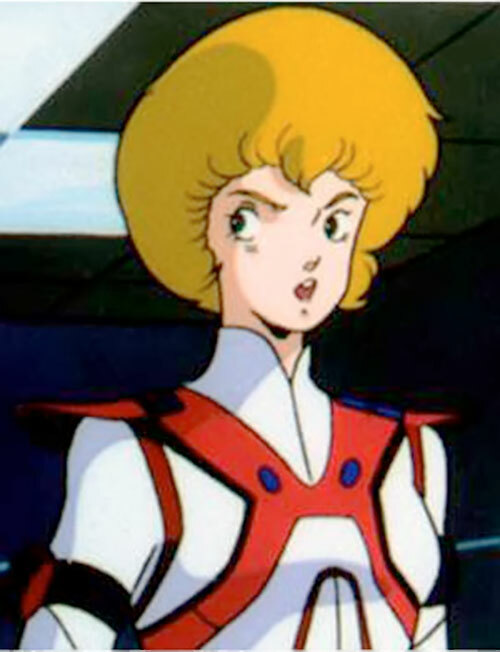 Dana is among the first graduates of the Robotech Military Academy founded in the aftermath of the First Robotech War. Her mixed heritage gives her the added dimension of precognition concerning the Robotech Masters and their schemes. She also shares an unusual bond with the renegade clone, Zor Prime. 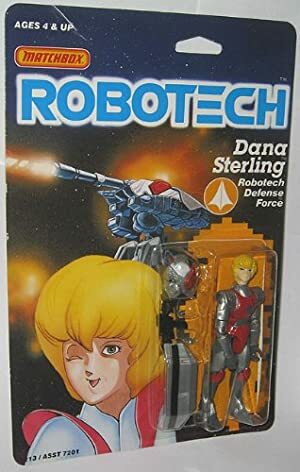 Dana is the catalyst for much of the action that takes place in the Second Robotech War. Dana leads the 15th ATAC through the Master war (also known as the second Robotech war). She and the 15 are responsible for making contact with the clones who serve the master and the changing of the paradigm to seeing them as people. Dana has an improbable romance with the Bioroid pilot Zor Prime. Zor Joins the 15th as a tanker pilot after his defection from the masters. Despite the valiant efforts of the 15th ATAC and the Armies of the Southern Cross the war is apocalyptic. The Masters destroy Earth’s defenders and themselves in the process of trying to gain the last matrix. They are too late, the matrix has destabilized. In the aftermath of the titanic struggle a third army, the Invid, take possession of the earth in its ruined state. They are seeking the Flowers of life that have sprung into bloom across North America. Dana leaves an Earth that is in ruins with the remaining elements of the 15th in search of the missing REF and her parents. Dana is a perky slender late teens girl with a bouncy halo of blonde hair. Despite her frivolous appearance she is hard as nails and is not afraid to show it. She is most often seen in a white and blue Southern Cross uniform or her Tankers battle amour. The amour looks like a high tech valkyrie. Dana has a child-like curiosity combined with a natural intelligence. Her compassion and curiosity seem an odd combination to make a successful soldier, but somehow it works. Dana is wildly impulsive. Her impulsiveness is attached in some tenuous and cosmic way to Protoculture. She has learned to go with her wild urges when they come. Conversely she is a competent military officer and in small unit actions or full scale military operations. Dana is without questing in charge. She can dominate career NCOs when it is required. The year is 2071. In 2052-2059 a titanic battle was fought for control of earth space by vast alien armadas against the RDF. This period is generally referred to a the first System War. Most of the meta-humans from the 20th century are dead or inactive after the passage of years and many battles. Earth’s nations’, now much more aware of how alien forces can impact their lives, form the Army of the Southern Cross. Dana, a Half Zentradi, is one of the poster children for the hybrid forces of the Southern Cross. The new army is actively recruiting meta-humans, aliens, and part aliens in their strategy to defend Earth against future invasions. They establish a special power division and a military one. The near immortal Martian Manhunter is placed in charge of special powers. The New Brussels Titans, the forces of the Bat, and the Children of Krypton are organized as part of this effort. The New Green Lanterns (known as Power Play and Green Line) help where they can but refuse to join the establishment. Dana’s good looks, military heritage and limited psi-powers made her a shoe-in for a leadership roll on the military side. An aging Mark (G-force) is placed as the head of the conventional military forces. He is a long time friend of her parents from the first System War and looks after her career as best as he can. Not long after her taking leadership of the 15th ATAC they are called to arms by a probing raid. The special powers division is sent to scout the new threat. They are quickly overrun by the full on military incursion and the armored tank corps is sent in to retake huge swaths of the mid west US. Quickly battle lines form and a hostile control zone in the Midwest is established. The hostiles, it is discovered, are a combination of Meta-gene adapted Zentradi, Posleen, Spectre’s transformational Mecha and the Bioroids of the Robotech masters. The Masters seem to have taken control of the armies from a generation ago. This is an attempt to stamp out the dangerous menace that earth represents to the established order of galactic civilizations (read: emerging powers will not be tolerated). Amongst the experimental clones of the unified Masters army is that of the brilliant scientist Zor. This Clone, Zor Prime, is linked with Dana is some indefinable way. The two are drawn together and drawn to find a way to stop the apocalyptic battle that will destroy the earth. Precognition only works in the presence of the Flower of Life, and only shows random images of possible future events. Awareness cannot be consciously accessed. See Irrational Exuberance. Range of detect is 24. Bowie Grant, Louie Nichols (High), 15th A.T.A.C. squad (High), Marie Crystal (Low), Zor Prime (Low early High Later on); Armies of the Southern Cross (Low). SIA toward Zor Prime; Misc: Irrational Exuberance [Dana is a trained military officer with an unfortunate wild streak. Once in each adventure there is a Minor chance that she will disregard orders and good sense and head off on an impromptu adventure.] 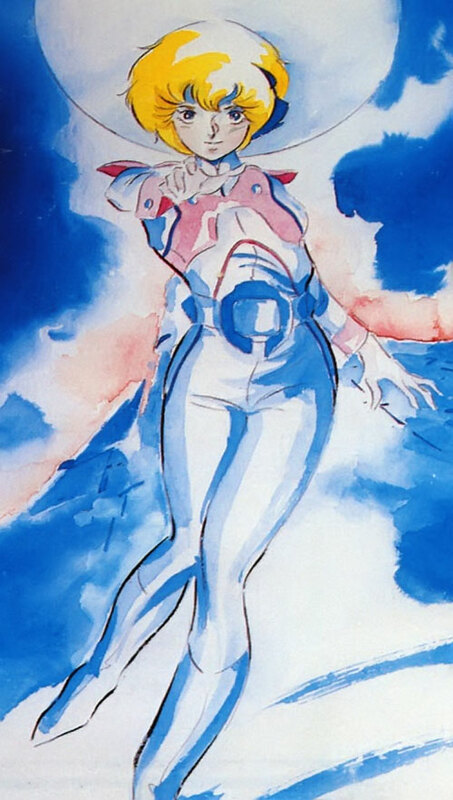 Dana is connected with Protoculture in a nebulous way. She will tend to stumble onto plot elements on these jaunts that affect the overall storyline. Southern Cross Body Amour [/BODY/ 08, Sealed Systems: 12, Radio Communication: 12, Shade: 08]. Laser rifle [BODY 08, Energy Blast: 08]. Hover Tank: [STR 09 BODY 16, Flame Immunity: 05, Jumping: 03, Radar: 20, Sealed Systems: 20, Hardened Defenses]. 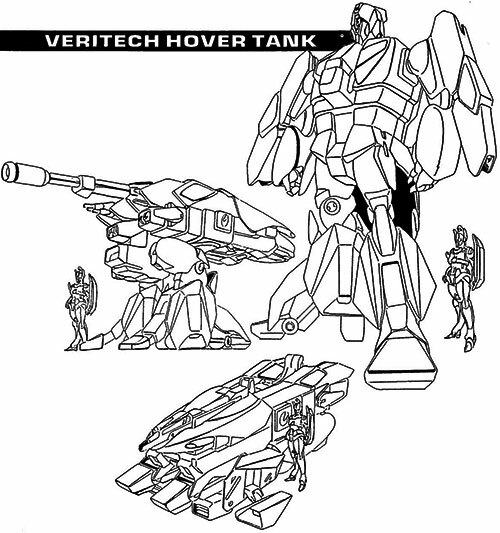 The Hover tank is a transformational Mecha. It has 3 modes, Tank, Cannon, and battaloid (man shaped). It can move from one mode to another with a dice action in a single phase. Tank mode: Running: 07; Energy blast: 10; Air Walking 01. Battloid mode: Arm Shield [Energy Absorption: 10; Kinetic Absorption: 06], Energy blast: 08 [EU-11 Gun Pod], Running: 05. Cannon Mode: Energy blast: 12 [Ion Cannon], Running: 02; Air Walking: 01. If the hover tank is transported into space it is capable of tactical flight (Flight 07) but can do little more than hover in earth’s gravity. By Mike Winkler and Shire Meadow. Source of Character: Harmony Gold Robotech masters Saga with notes from the Jack McKinney novelization. Helper(s): Palladium’s Robotech RPG sourcebook; wikipedia.com; IMDB.